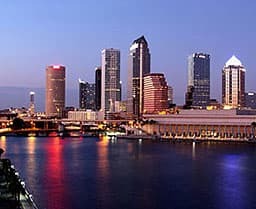 At RentTampaBay.com, we don't just give you a list of Tampa apartments to choose from; instead, we provide you with the tools and information you need to be confident that, out of all the apartments in Tampa, you've found the perfect place for you. There's no need to drive around town and walk into apartments, blindly hoping to find what you're looking for -- our staff of trusted experts and local residents have done all the searching you need when it comes to finding the best Tampa apartments. The hardest thing you have to do is narrow down which one is right for you. The tools we provide are unparalleled in this industry. With more than 300 filters to refine your search for apartments in Tampa, you’re able to search for the features that really matter to you. Our comprehensive listings often offer more information than an apartment's own website because we put in the extra time and effort to tell you what you need to know. Relocation to Tampa apartments shouldn’t be a burden, so we provide an interactive map of the area, as well as relocation guides to help you get a handle on the apartments in Tampa. We don't have all the answers, but we have most of them. What's equally impressive is the folks behind RentTampaBay.com. We have a team of local experts standing by to answer your questions about Tampa apartments, and we post the answers to the most frequently asked questions. From this, we've compiled a list of 448 FAQs, and we add more every week! Not only that, but our team has visited almost all the apartments in Tampa to ensure you have the most accurate information available, so you can make the most informed decisions. We recognize how important it is for you to find which Tampa apartments are best for you, which is why you can count on us to have your back. From answering questions to helping you schedule a tour, we're here to help. 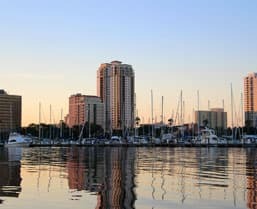 When should I start looking for my new Tampa apartment? My furry pal and I are relocating to a new apartment in Tampa. What is the difference between paying a pet deposit and a pet fee? I love the outdoors, especially in sunny Florida. What outdoor-friendly amenities should I look for in a Tampa apartment? I’m being temporarily relocated to Tampa for business, and I’m unsure how long I’ll be in the area. How can I avoid long-term, costly commitments? With 300+ options to refine your search for apartments in Tampa, you can get as detailed as you'd like. Whether you're looking to be a close to a specific place or trying to find the perfect length lease, we can help you narrow down the options to find the best place for you. To find Tampa apartments that fit your budget, we have dozens of options. We know everyone has different financial needs, so we give you choices for cheap apartments, luxury apartments and everything in between. Whatever your budget, you can find your new home here. Learn all the details of the area while you search for Tampa apartments; that's why we have neighborhood guides. 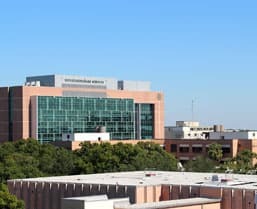 They offer in-depth information on every place in Tampa, from what to do there to what the traffic's like. They can help you make your best decision. If you're planning on moving to the area, our relocation guide has you covered every step of the way. They'll get you to the apartments in Tampa by teaching you about moving and utilities, as well as sharing things to do and the local news. You'll seem like a native in no time. What Makes Us Different?We're not here to "upsell" you into Tampa apartments you can't afford.